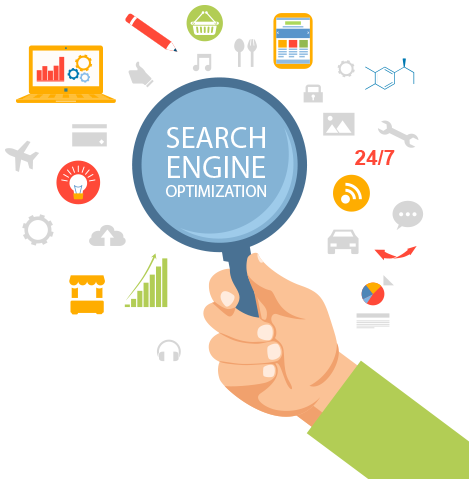 Search Engine Optimization (SEO) is at the top of leaderboard among the methods that are used by business folks nowadays for promotional campaigns. Using best and reliable techniques in a SEO campaign is very important as leading search engine encourage such practices. With the best SEO services company in India, you can manage website traffic, sales, reputation and business effectively, and gain the ideal competitive edge over other similar players of your niche. Due to emergence of online branding and reputation, SEO companies have increased by manifold in past few years; however reliability factor always remains a concern for business owners. Constant Upgradation, acquisition, development of new methods and techniques. SEO team consists of professionals with impeccable careers. This process is performed to inspect your website for key SEO elements. In this stage, analysis and comparison of your service and key competitors is assessed. These findings put the foundation of designing action plan for other SEO methods. Necessary modifications and website's key component management is vital facet of this stage. Processes like writing and assigning Meta elements, XML and HTML sitemaps creation, Robot.txt file command writing, setting up Google Webmasters and Analytics accounts, pleasing keyword rich content writing, etc are monitored in this stage. In this stage, presence of your website is spread through a very systematic and authentic manner. Various procedures like directory, bookmarking, article, blog, etc submission are done. Apart from it, press release distribution and forum circulation are two other major processes done in this stage. This stage propels branding and online reputation of your website. The vastness of Social Media has encouraged business owners to utilize various platforms for branding and customer acquisition purpose. Services and company's profile creation is important aspect of this stage. Our SMO team is conversant with many tools and techniques for promotion of your business on Facebook, Google Plus, Twitter, LinkedIn, Pinterest, etc. Our systematic reporting system offer clear progress of your business and website in a very concise and readable format. We believe in presenting true picture of project development through Weekly, Monthly, Quarterly and various other types of reports. Our report includes minute details of work done on your website.